I have just finished 'The Hunger Games' in three days- probably the shortest time I have ever finished a book and found it such a struggle to put down- and now on the hunt for the next book, Catching Fire. Every year, during the 'reaping', two tributes, a boy and a girl from each of the twelve districts is chosen to compete in 'The Hunger Games', where only one of the twenty four can survive. When Primrose Everdeen gets picked, her sister Katniss offers to take her place as tribute. Whilst she is a good hunter, Katniss knows she cannot win the games, even with the suspicious help of Peeta, the boy chosen from her district. But she must try, for her sister and mother's sake. From the start of the book, the pace has been immense and I just couldn't put it down. This is partly due to the way it is written. Whilst most books end each chapter with some sort of closure, this book leads each chapter onto the next seamlessly. The way the characters develop is also super strong. We get a real sense of who Katniss is and what she is thinking and she is a clever one. A lot of books force the character to think one way, but here Katniss is almost as clever as the reader, weighing out all the options, the questions we ask about the motives of the other tributes, she asks too. Apart from the likeable main character, we are also immersed into a world not so disimilar to our own, but yet feels fantastical and abstract. The modern themes and attitudes towards beauty, science, appearance, entertainment and so on are all reflected in the ways things work in the 'Capitol', and through the subtle descriptions, we reflect on our own world and attitudes. Despite the description of the novel being somewhat scary, thrillerish or even grotesque (as my sister thought when she read the synopsis), this book is not at all like that. Whilst it does deal with murder, death, killing, the description is not overly explicit or gory. And the way the deaths occur are clever, calculated and masterful. Every little detail, object, deed may be useful and revisited later. The beauty of the way the book flows and the way 'history' encapsulates the present and we receive so much back story subtly placed into it, it is as if we've read several books about these characters already. I found that it got a bit predictable towards the end. This is not a criticism. As I kept guessing at what will happen and how the book will resolve, I knew there would be a trick up their sleeve and some of the elements of the final 'battle' scene was just how I'd predicted (I thought the hostage situation would've occured sooner to be quite honest)! 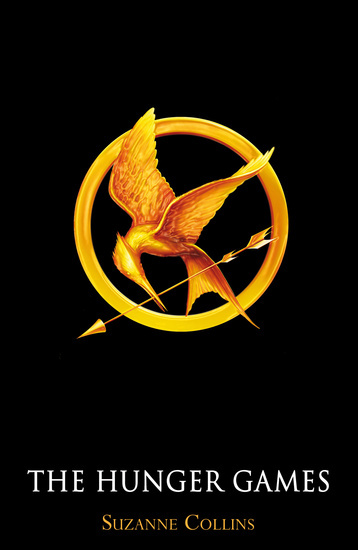 The author manages to keep us guessing right up till the end, especially with Peeta and Katniss' relationship. Is he her friend? Will he betray her? Could Katniss really trust and love him or is it all just an act? It really could've worked out both ways and it'd be justifiable. And it is this key ingredient which leaves you wanting more when you read the final lines of the book. Much like the way the chapters worked as I discussed earlier, the ending of the book feels unfinished- like it is leading onto a next chapter which isn't there. As it ends so abruptly with no mention of Katniss and her family's reunion, it definitely doesn't offer the catharsis you expect. But thankfully, there is a second book. And I will hopefully get the answers as I read the second book, starting RIGHT NOW!